Today, I’m kick off a new series specifically on niche marketing and business development. This episode is focused on the foundation for any business: identifying needs to fill. In addition to sharing some of my own experiences, I’ll also show companies like EZ Laundry and Netflix used similar principles as other artists in order to launch their businesses! Today’s episode was inspired by Terry Crews’ approach to self-discipline. We’re focusing on his 4 big tips for discipline with a specific focus on music business and entrepreneurs. If you’re slightly obsessed with productivity (like I am), then you probably think a lot about how to make the most of your time. In fact, the idea of “free time” seems like kind of a misnomer because you think of it as more time to work on your music business. However, today’s episode is about taking a healthy look at developing a sustainable music business career – and that includes using your free time wisely. Severe weather is terrible for music instruments, vocalists, and our vehicles but sometimes it can’t be avoided. In today’s episode, we’re going to cover best practices and tips in dealing with severe weather. The best emergency roadside kit for bands (Kolo Sports Premium). It’s only $45 and comes with plenty of things to deal with quick emergencies. Accuweather Road Trip Planner. Check it before leaving for tour! AAA Auto Club – If you do get this, just spend the extra bucks for their premium service. The extended tow range is a must if you’re going through any kind of remote areas. Verizon Roadside Assistance. This is my go-to. How to Drive in Severe Weather guide from State Farm. Templates for websites and tools by PayPal are making it easier than ever to create your own online shop for merchandise. However, a new option is becoming more popular: print on demand and dropship services. So which one is the right one for you? In 1983, Beinhorn co-produced Herbie Hancock’s landmark recording, Future Shock, which included the groundbreaking cut “Rockit.” The song, co-written and co-produced by Beinhorn, would become Columbia Records’ most successful 12-inch single ever, selling over three million copies and winning a Grammy in 1984 for Best R&B Instrumental Recording. 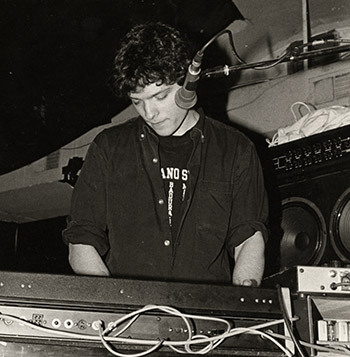 After departing Material in 1984, Beinhorn’s production career began to reach new heights. His work on the Red Hot Chili Peppers’ breakthrough albums “The Uplift Mofo Party Plan” and “Mother’s Milk” was instrumental in propelling the band to stardom. Beinhorn gained a reputation for producing a number of “high watermark” albums that have helped to define the careers of a diverse range of artists, including Soul Asylum, Hole, Soundgarden, Ozzy Osbourne, Courtney Love, Marilyn Manson, Social Distortion, Korn, Golden Palominos, and Mew. His recordings have achieved combined worldwide sales of more than 45 million albums, and he is one of only a handful of producers to have two separate recordings debut in Billboard’s Top Ten in the same week, with Marilyn Manson’s “Mechanical Animals” (#1) and Hole’s “Celebrity Skin” (#9) also earning him a 1998 Grammy nomination for Producer of the Year. In addition to producing, arranging, engineering, co-writing, and performing on many of his projects, Beinhorn’s attention to detail and tireless pursuit of sonic excellence led him to develop and commission the first two-inch eight-track Ultra-Analog multitrack tape recording format. In recent years, Beinhorn has turned his attention to the concerns facing today’s artists and producers attempting to maintain their creative ethics and focus on the recording process. He has been increasingly active in mentoring fellow artists and aspiring record producers. He addresses these and other pertinent issues in his book “Unlocking Creativity”, published by Hal Leonard. He continues to inspire the artists he works with to excel to greater heights, with an unwavering commitment to sonic exploration and creative excellence. In today’s recap, we revisit some of the big ideas you should be considering as you tackle a new year of music business. Episode #277 – Are you marrying your fans or dating them? Episode #278 – Can you Copyright a Dance move? How do you handle multiple music projects and commitments? It’s like trying to run multiple businesses! In today’s episode, you’ll get some guidelines on smoothly handling each of your competing priorities. We often rewatch our favorite movies, TV shows, and videos on social media, but why is it that we seldomly reread the books that have made the most impact in our lives? There are a lot of benefits to revisiting content, especially when it comes to music business. So today, we’re focusing on why and how to do it. I discuss the pros and cons of starting your own record label for releasing your own music. What are some of the benefits? The challenges? And what is the point? Episode #37: Band manager, publicist, booking agent, lawyer: who to hire and when?